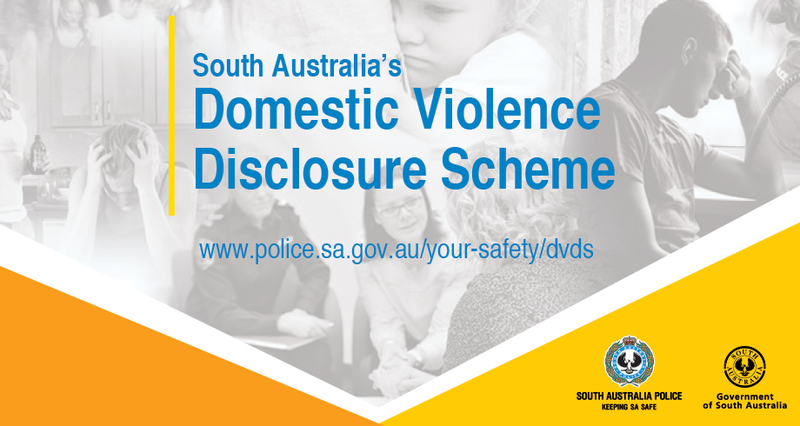 South Australia's Domestic Violence Disclosure Scheme (DVDS) provides an avenue for a person who may be at risk of domestic violence to get information about their partner or former partner, to help make decisions about their safety and the future of the relationship. a person concerned about the welfare of someone they know. Click here for further information and making an application on the SA Police website. The DVDS is an early intervention and prevention initiative. It is not an emergency response service.